This is one of those easy and quick to do side dishes or appetizer. 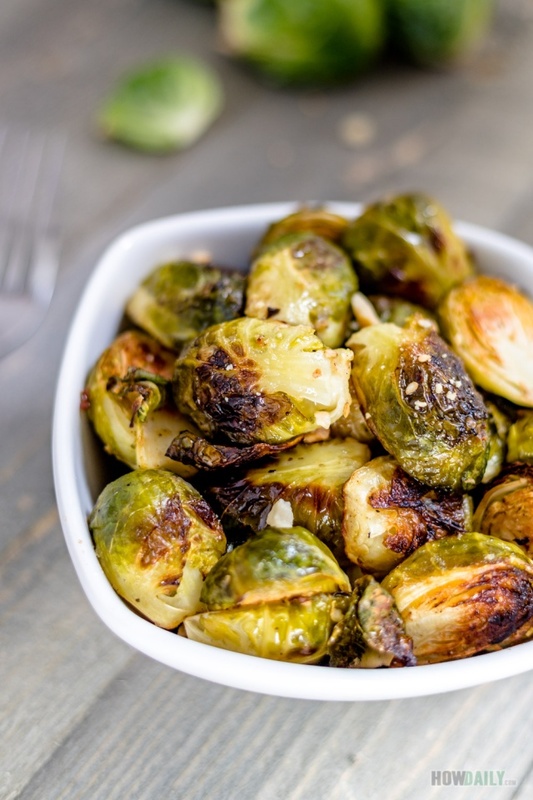 In fact, roasted brussels sprouts should be on your go to list whenever you’re in a pinch of time and need to do multi-dishes. Just set it and forget or roam about for other entries. 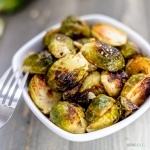 The only thing you should watch for is the timing and spacing of brussels sprout when roast. Too long and and they will be burn or soft, mushy if you have them too crowd. So for the best sprout, coat them well with oil, not runny, just light even coat and make sure they’re spacing apart to prevent extra steam. The baking/roasting time is just my estimate, it will be varied depend on your over. Generally I would first roast them in high heat to sear the outer leaf (hence making them crispy), then adjust to lower heat to cook through the inside. Finally I would crank up the heat to 450 – 500 °F to make them extra crispy. If that is too much of attention to you, just use 400 – 425 °F setting, and you should be done in 15-25 minutes, with no extra caring. 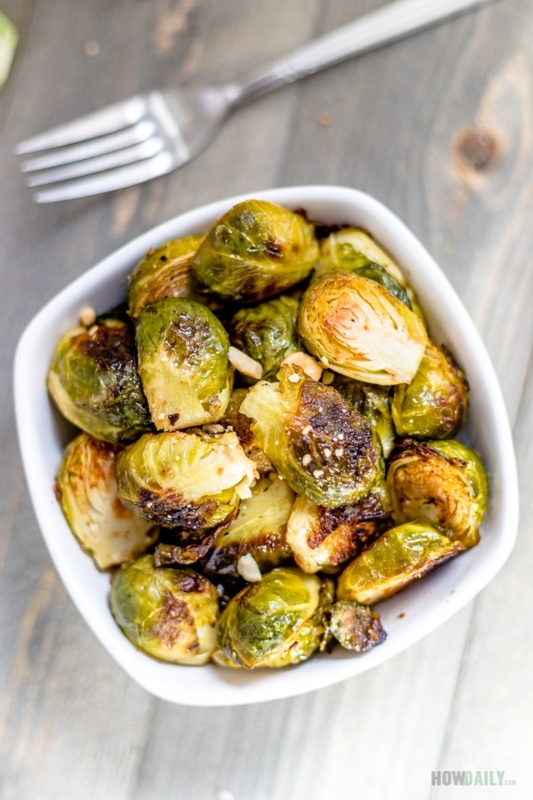 Tasty oven roasted brussels that are completely vegan in under 30 minutes. Have them as side or finger food appetizer, don't forget to sprinkle some chestnuts before serving. Wash and clean all brussels and cut into halves. With large zip bag, add lemon juice, mustard, olive oil salt and pepper to mix them well. Add brussels and shake to fully mix/coat. Dump and spacing out all brussels pieces. Bake for 15 - 20 minutes, till golden. Toss with some nut and serve.